Joseph Kingsbury lived and died at 26 Francis Street, Enmore. He had been born in Somersetshire, England. He and his wife Sarah (d. 1893) came to Australia in 1838 and moved to Enmore in about 1845. He and Sarah had three sons, James (also a doctor in Newtown), Joseph and John (both drapers), and a daughter, Jane Hodgson. Kingsbury trained as a vet, apprenticed to his father in Somerset, before setting up his own practice. He later qualified as a medical doctor and practised both in Newtown. 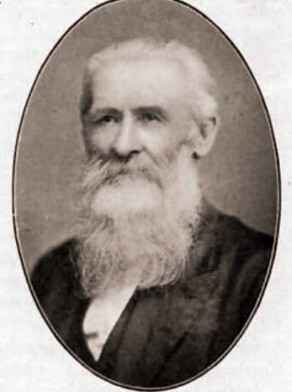 Kingsbury was one of the founders of the Enmore Church of Christ. A former Wesleyan, he was baptised in the Cooks River in 1853 and meetings were held at his house in Enmore until 1867 when a chapel was built on King Street. Under his leadership the congregation continued to meet there until 1886 when the Tabernacle at Enmore was built. He was the first president of the Association of Churches of Christ (ACOC) in 1885. He was a justice of the peace (JP). Joseph Kingsbury was an alderman on Newtown Council in 1863-65 and 1870-71, representing Enmore Ward; he was mayor in 1864 and 1870. He was one of the first supporters of the incorporation of Newtown. As he lived on the border of the suburb, he also ran for and served on Marrickville Council at other times.